Gaviscon’s “Tim and Tom” has fended off both M&M’s and KFC to retain the title of the most effective TV ad of 2017, as advertisers relied heavily on humour and novel imagery to grab viewer attention as dual-screening and ad skipping becomes increasingly prevalent. The top ads comes an on-going analysis of TV advertising, conducted by Nielsen, which involved over one million survey results across 3,600 ads in 2017. 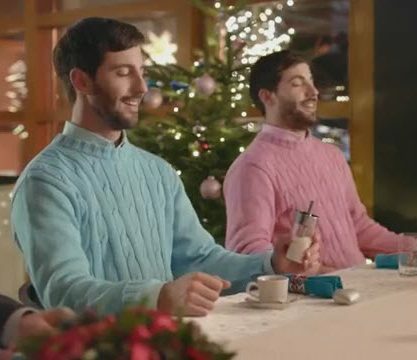 Chocolate/sweet brands did particularly well this year, accounting for half of the 10 most memorable ads, with Trebor, Skittles, Snickers and Maltesers joining M&M’s. For the first time ever, Amazon featured in the top 10 ads and was the only brand to have two entries – both of which were Christmas ads.